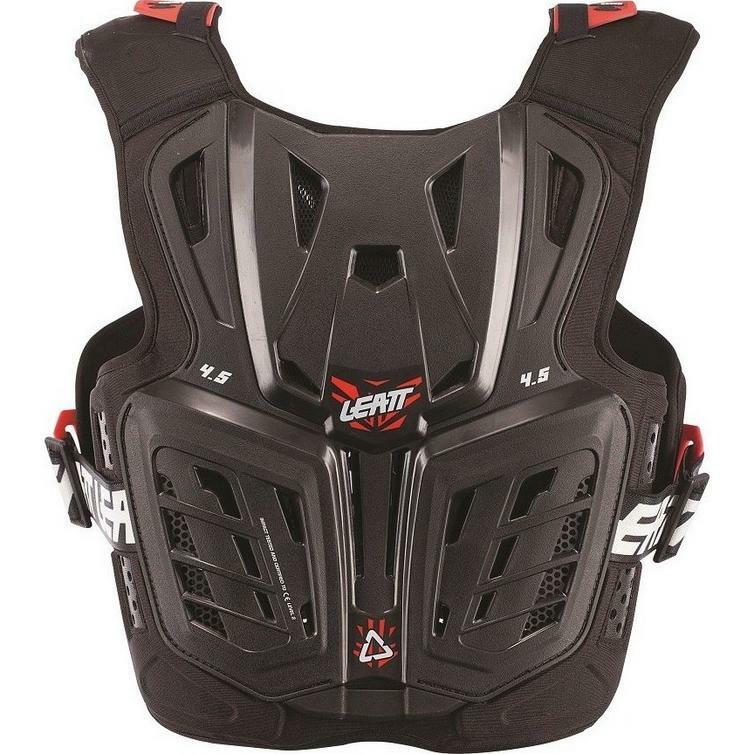 The Leatt 4.5 Youth Chest Protector is part of the latest Leatt collection. 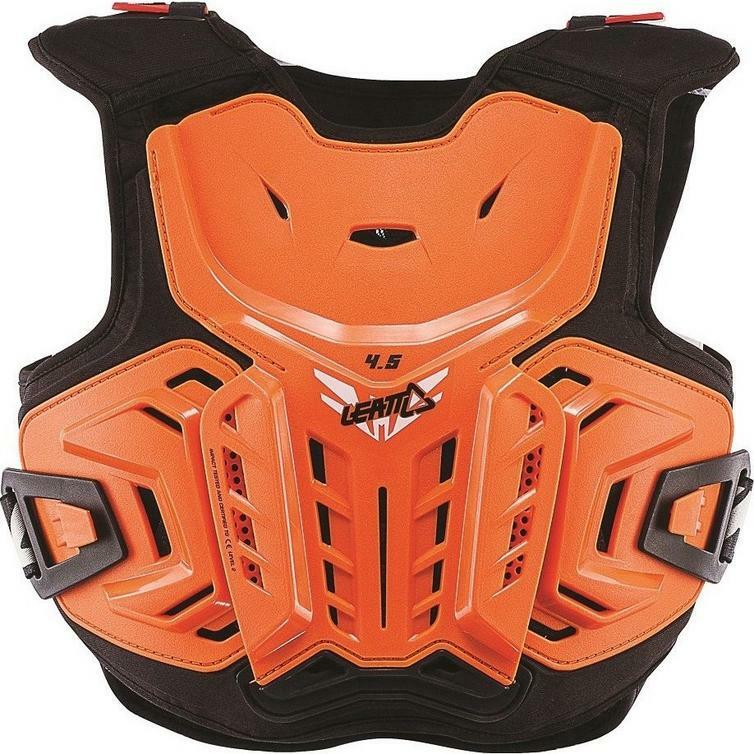 The Leatt 4.5 Youth Chest Protector combines the best of soft and hard shell protection by making use of deflecting hard shell as well as 3DF AirFit soft impact foam. This foam flexes around the body for a comfortable fit yet absorbs energy during a crash, protecting the junior's chest, back and flank areas. 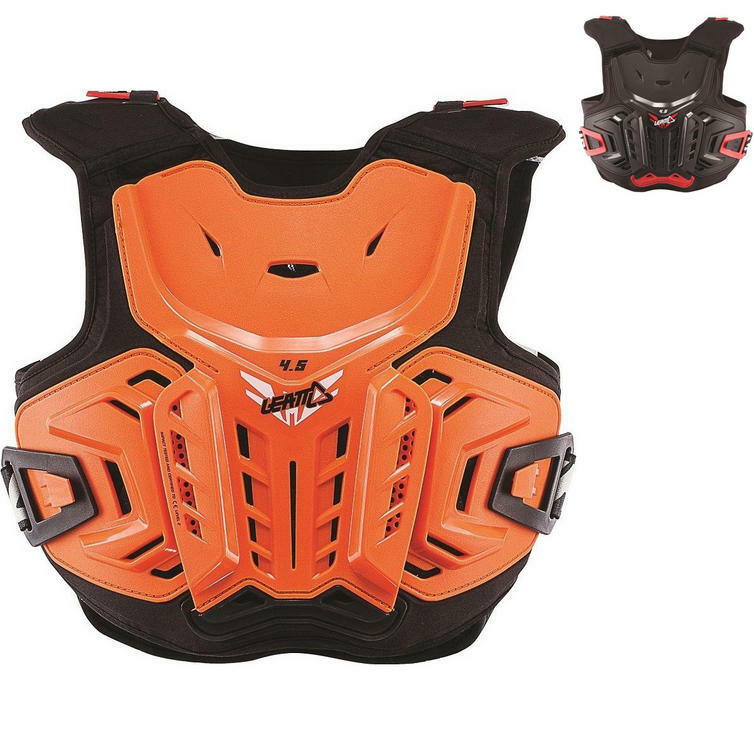 It also sports a comfortable 3D multi-layer design with a mesh base layer as well as ventilation slots to provide airflow during rides. 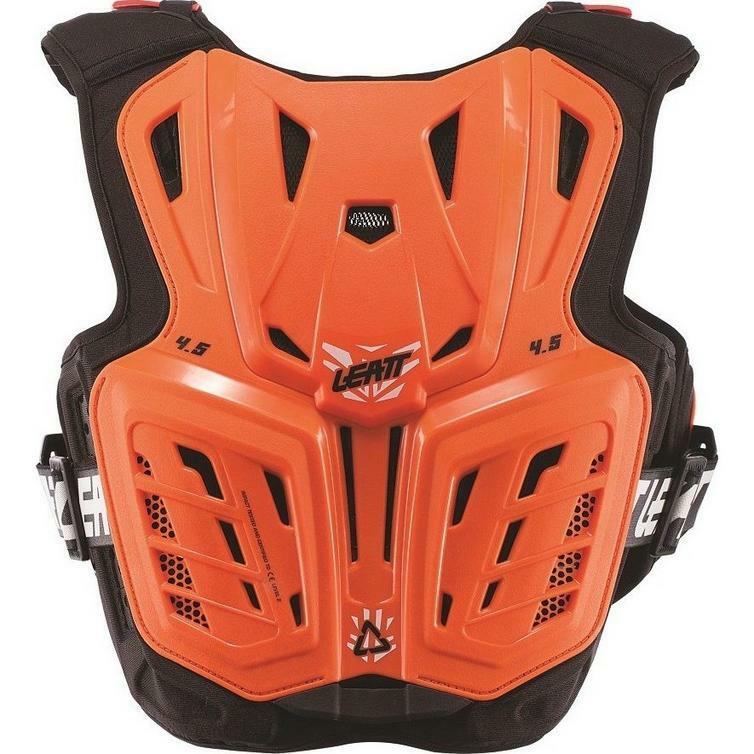 For added convenience, the protector integrates with Leatt neck braces perfectly, and will fit over and under a jersey. 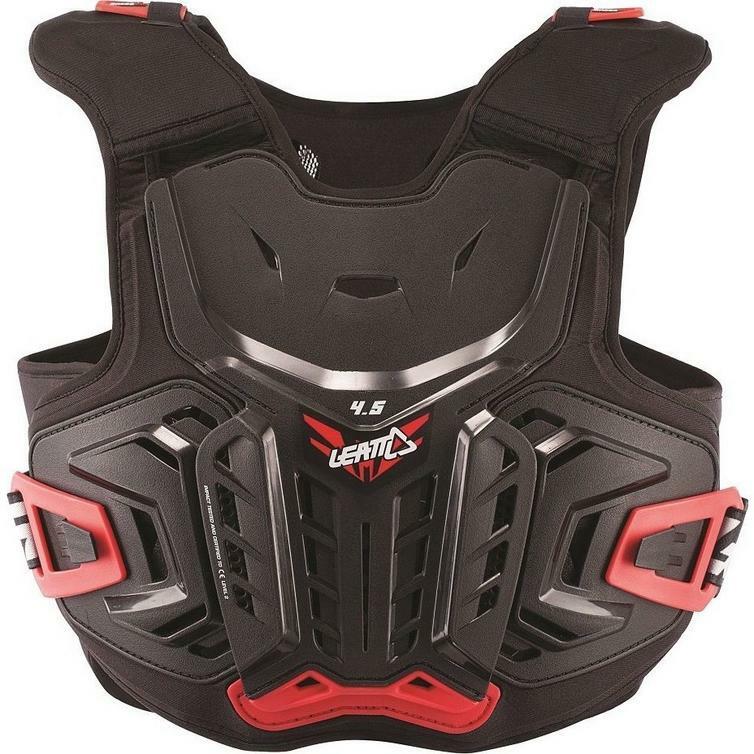 The 4.5 Youth Chest Protector scores a total of 12 points in the Leatt protection rating system. Sizes are suitable for the following heights: 134 - 146cm | 4'5" - 4'8" and 147 - 159cm | 4'8" ? 5'3"